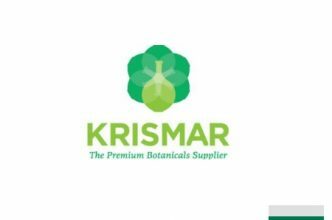 KRISMAR company produces a wide range of cosmeceutical, pharmaceutical and nutraceutical raw materials and shares, through its clients and collaborators, the values of respect for mankind and its environment, while integrating the highest quality standards, which contributes to the fame of its products. 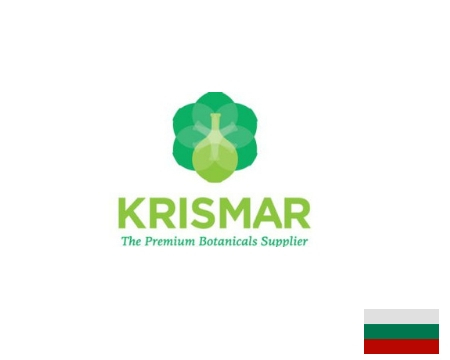 Established in the heart of the Valley of Roses, Bulgaria, the KRISMAR company is an acknowledged specialist in processing natural raw materials such as medicinal and aromatic herbs, essential oils and extracts. Our Organic production is certified by German Institute for Organic farming and food processing – Lacon GmbH – according to Regulation EC 834/ 2007 and EC889/2008 and is compliant with NOP Final Rule under the USDA – EU Organic Equivalency Agreement. Currently we offer more than 120 organic certified botanicals. A comprehensive quality management system also governs all aspects of our business. The system allows us to guarantee the safety, consistency and traceability of each batch. Product quality is monitored through all production stages, which comply with the rigorous Good Agricultural and Collection Practices (GACP) and Good Manufacturing Practices (GMP), as well as observing the Hazard Analysis Critical Control Points (HACCP).